As you prepare to see your son or daughter finally get married, you're no doubt contemplating what on earth you're going to wear to the celebration. Mother of the bride gowns have traditionally been a little dowdy, but moms today are more stylish than ever before! If you have your heart set on wearing a neutral tone, stick to champagne - it looks great in any season! However, you shouldn't be afraid to branch out and try other colors. Pastel blues and purples are a lovely choice for spring, while burgundy and navy are ideal for fall. Just make sure that whatever color you choose doesn't clash with the bridal party! ... and hello to little details! 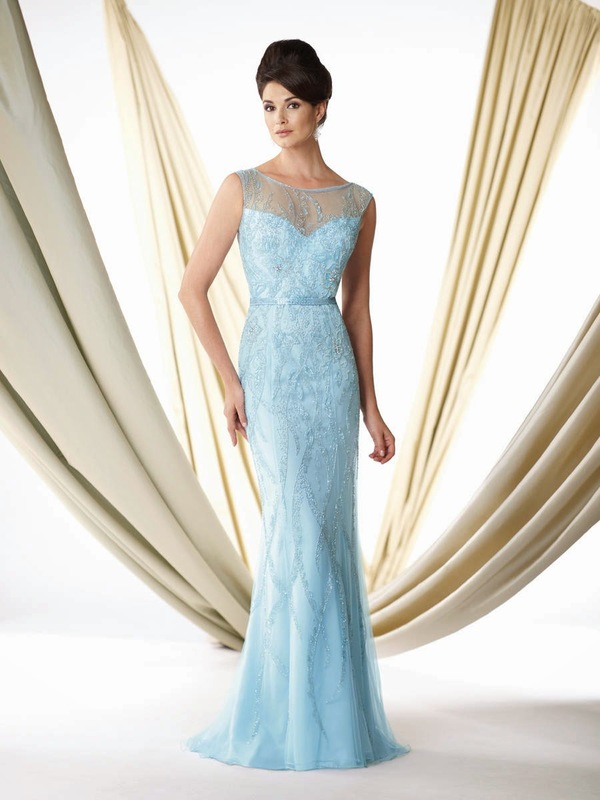 There's no reason that your mother of the bride dress has to be utterly plain. Dress it up with unique details like lace sleeves, an elegant sheer cape or delicate beading. However, don't go crazy on the detailing - stick to one element, and if you must have a little something extra, choose a gown with an interesting neckline.